Snuggly is a crow who talks in a sweet but cawing sound, but she is never seen or spoken to directly. 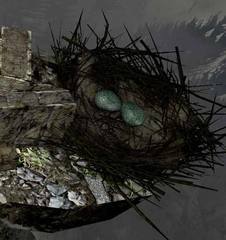 Snuggly's nest is located outside the Undead Asylum. 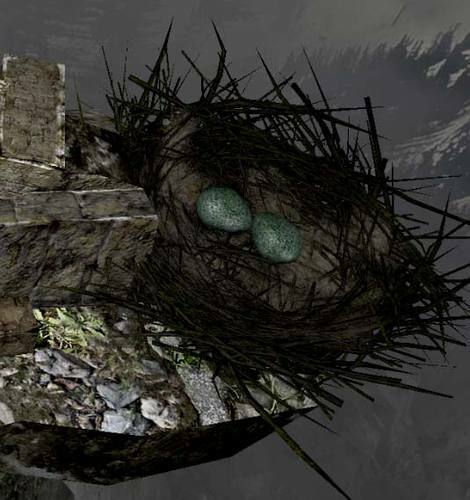 When the nest is approached by the player, she asks for something "warm and soft". If the player leaves something in her nest, she will trade another item in exchange.